Experts say commodity products are a good entry point into health care as they don't require regulatory approvals. Amazon has been growing its medical supply business – selling gloves, syringes and other health-care sundries to dentists, doctors and hospitals – in an early sign of its efforts to enter the health care industry. Unlike Amazon’s secretive plans to shake up the prescription drug industry, or its initiative to develop technology tools to rein in health costs for its own employees, Amazon hasn’t hid this effort. In an earnings call in October, an executive mentioned hospitals first on a laundry list of institutions that it was targeting with its Amazon Business offering, along with schools, labs and government agencies. On Tuesday, the stocks for companies that distribute medical supplies tumbled after the Wall Street Journal reported that Amazon has been holding meetings with hospital executives to learn more about the needs of the industry. Brian Tanquilut, an equity analyst at the investment firm Jefferies, said Amazon’s play to sell commodity medical supplies, such as medical gowns and masks, has been going on for some time. It is seen as a good entry point to health care because it doesn’t involve complex regulatory approvals; many states don’t require a license at all. Amazon has been particularly aggressive, he said, in courting dentists, setting up booths at dental conferences. An Amazon spokeswoman did not answer questions about how much of its business marketplace sales include medical products, but there are 1 million users of Amazon Business across many industries and 85,000 sellers. Phyllis McCready, chief procurement officer at Northwell Health, a large New York-based health system with 23 hospitals and more than 650 outpatient facilities, said Amazon has reached out to hospitals like hers, which isn’t unusual when companies enter a new market. McCready oversees an 850,000 square-foot medical supply distribution center for a health system that purchases $650 million in medical and surgical supplies each year. She said Northwell contracts directly with manufacturers and, to a lesser extent, distributors. The big advantage of directly negotiating with manufacturers is the full visibility McCready gets into where a product was made and where it has been – essential information for tools involved in patient care. “The chain of custody – the pedigree of where it starts, where it ends up. Quality is number one. To have quality products, we have to make sure they’re coming from the right places,” McCready said. That issue may be far less important in Amazon’s consumer business, where people may be satisfied with products based largely on their prices, and may not question where a product was made or how it arrived. Tanquilut said that some medical supply distributors, particularly those that don’t have a second line of business distributing drugs, have been under pressure from increased competition. Owens & Minor, Cardinal Health, McKesson and Medline Industries are other competitors in the space. For physician practices, Amazon might be able to provide faster turnaround when there is an immediate need for supplies, Tanquilut said. 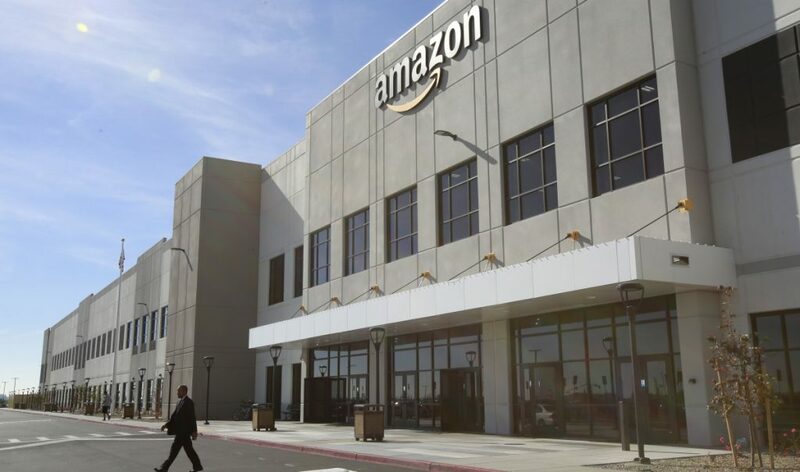 He said his research suggests the tech giant was processing medical supplies at an Amazon facility in Indiana where consumer goods are sent out the same day they are ordered.